A small city with a global mindset. Home to Indiana University. Bloomington is a mashup of nurtured intellects and natural beauty—with its rolling hills and world-famous limestone. Bloomington is many things to many people. To some it’s the gateway to the rest of their lives. To others it’s a homecoming, or a haven for creativity. It can be a place to be challenged and grow or an escape for reflection. With so many varying and personal perceptions of a place, how do you deliver a tourism marketing message that resonates with everyone? Through our research, we discovered a significant unifying attribute: Bloomington is a destination for idealists. It’s a bohemian enclave of the Midwest—progressive and laid back. So, who speaks to idealists? Wizened philosophers. Using this voice and segmenting our approach based on traveler type (the big event set, the tastemakers, the health nuts, the cream and crimson, the lifelong learners, and the pragmatic planners), this tourism marketing campaign has been both individually relevant and effective. 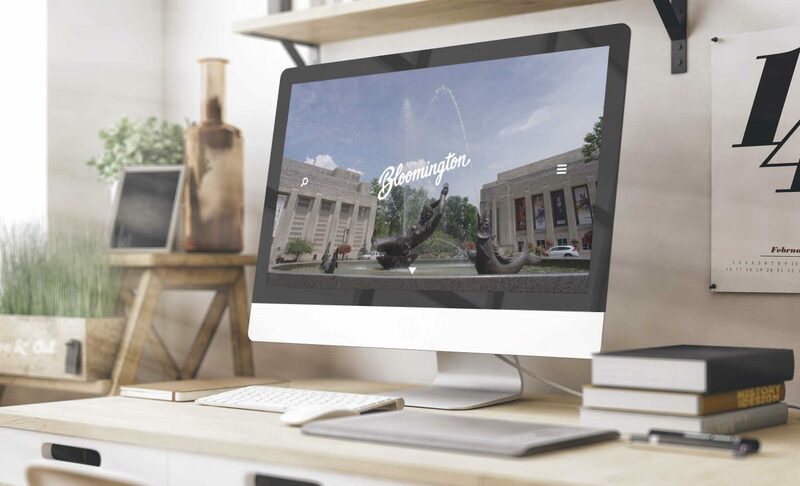 With a primarily digital and PR strategy, the Bloomington brand has boosted social engagement and web traffic. Overnight stays have increased, including coveted mid-week and off-peak bookings. Additionally, the internet commercial campaign captured a 2017 Silver ADDY in Indianapolis.